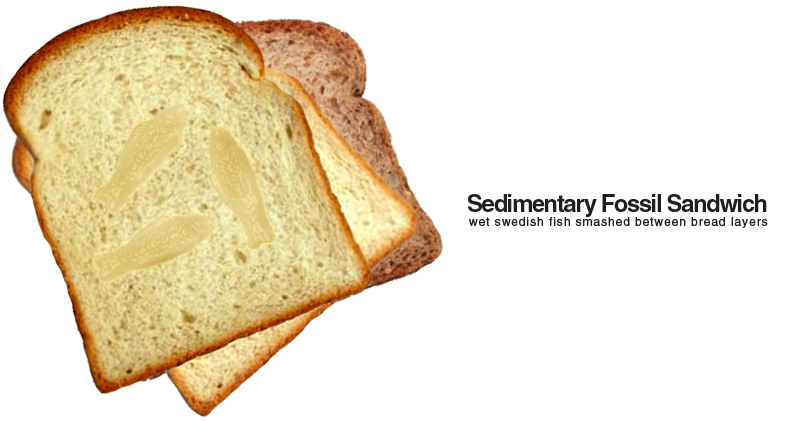 Investigate how fossils are formed by creating a fossil sandwich. Kids use bread to represent layers of sedimentary rock. They use books and their strength to represent heat and pressure! Then, they become mini archaeologists and extract their objects and examine the imprint left behind! Visit Copetoons for Swedish Fish Fossil Instructions (above). This experiment demonstrates how rock keeps the shape of an animal if it hardens before the animal decomposes. Check out Ice Age Life for creating a fossil sandwich using a variety of objects. This activity shows kids that some objects create a better print than others, just like real fossils!